Girls Pattern called Molly: Retro Inspired Reversible Jacket Created by Violette Field Threads. 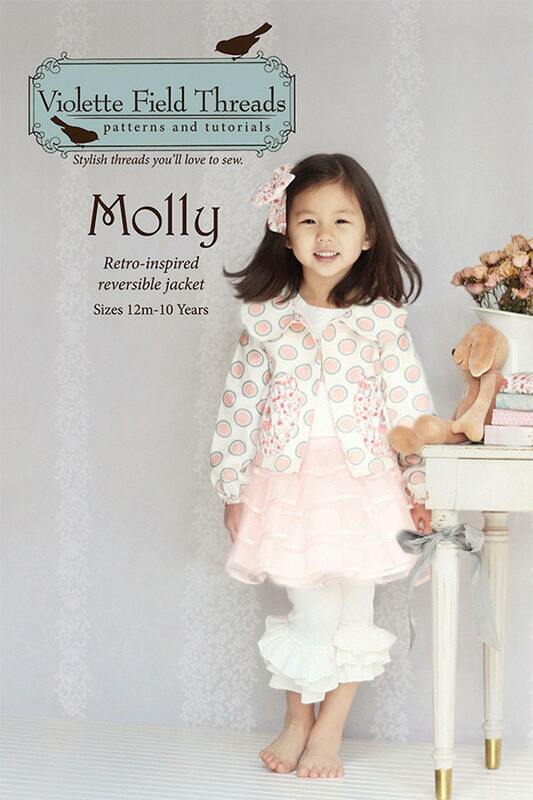 Featuring a tailored fit with a sweet peter pan collar, the Molly Jacket is perfect for any occasion! Molly's thoughtful details evoke a sweet, nostalgic feel. 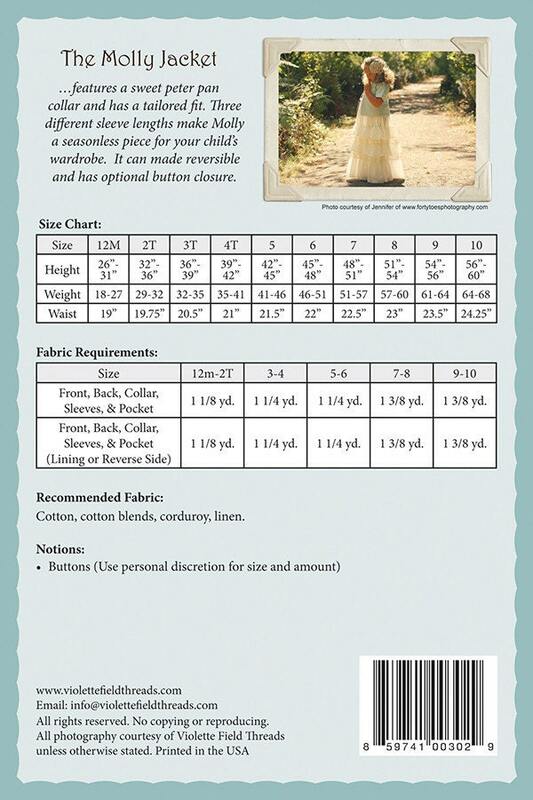 Three different sleeve lengths make Molly a season-less piece for your child's wardrobe. It can be made completely reversible and has an optional button closure. You won't believe just how easy this little jacket is to sew!